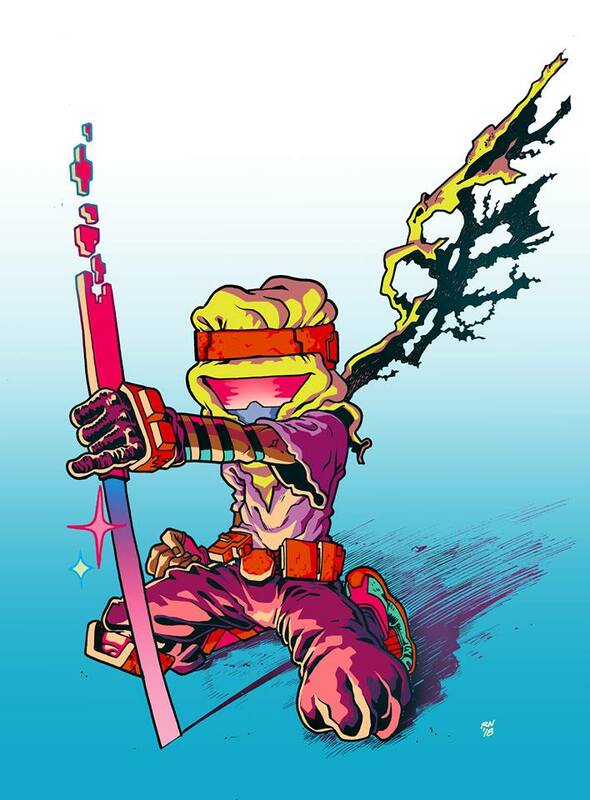 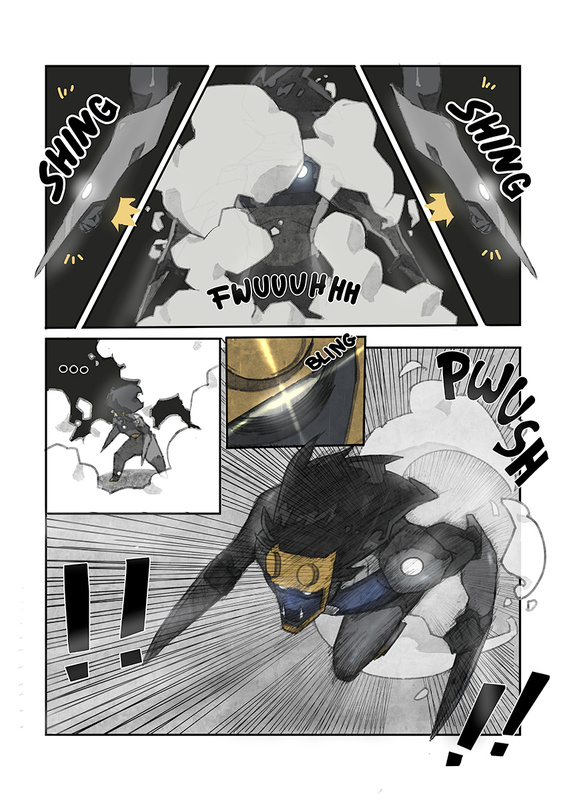 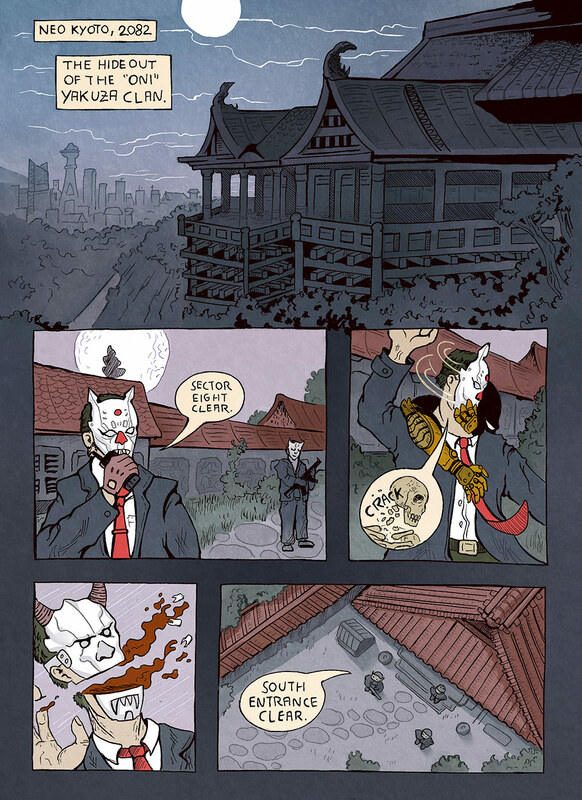 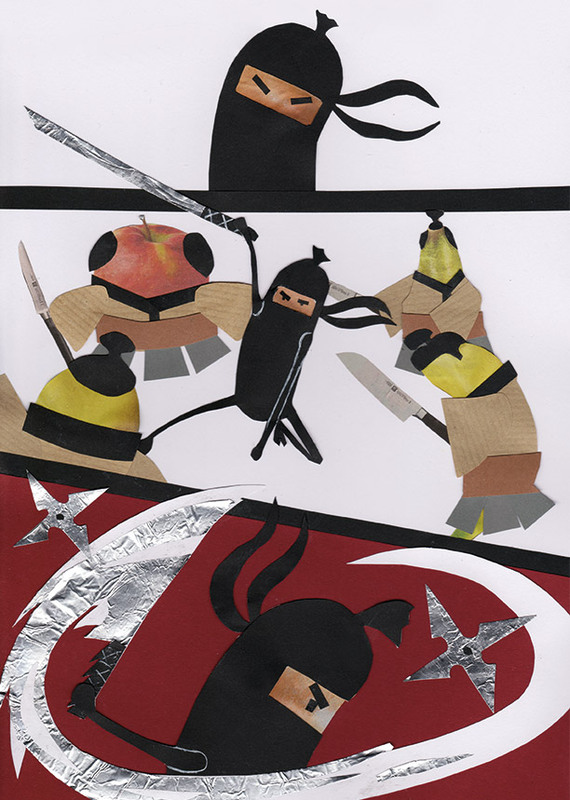 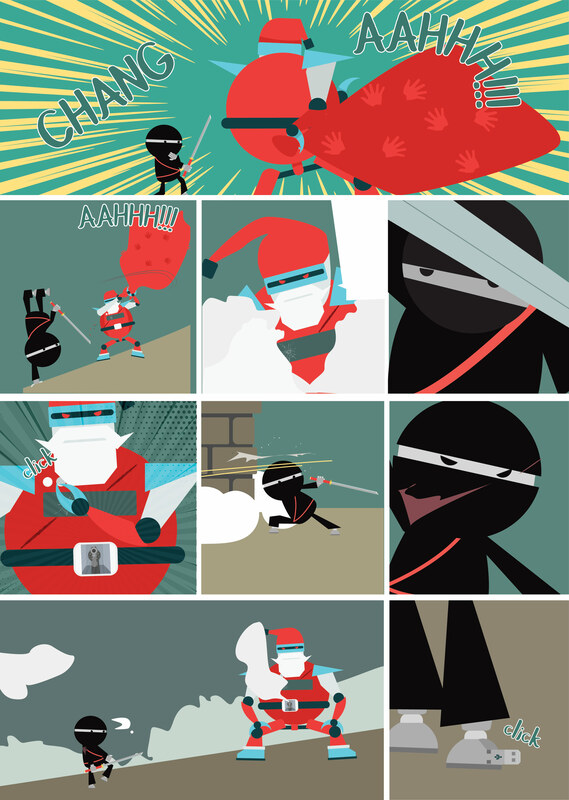 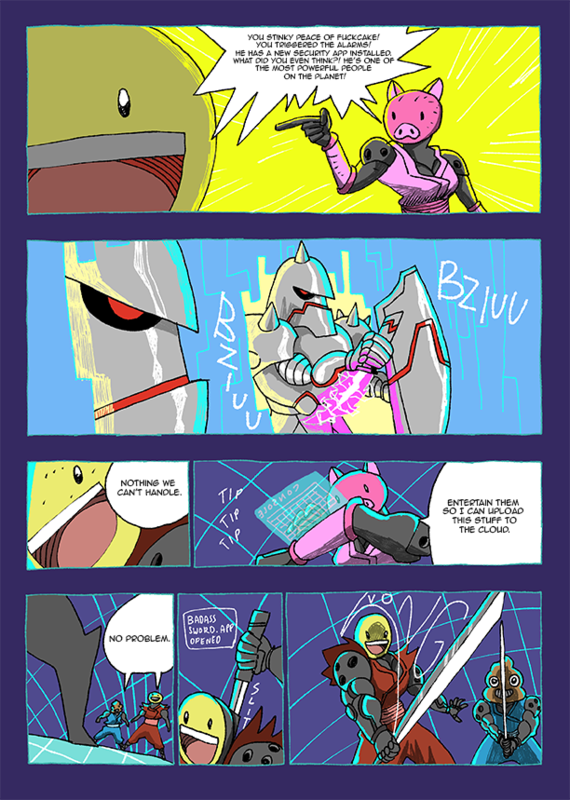 CYBER NINJA 2082 is a comic book anthology by nine artists. 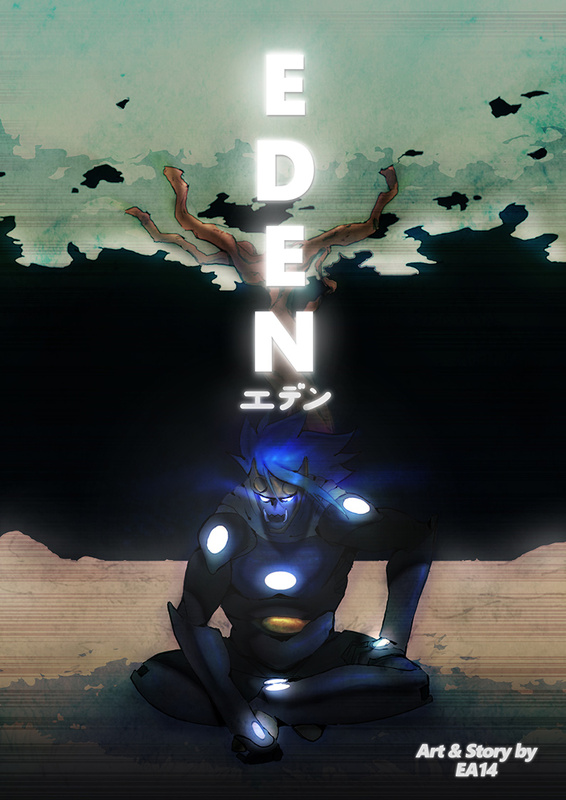 I initiated the project, contributed one story, edited and designed the book. 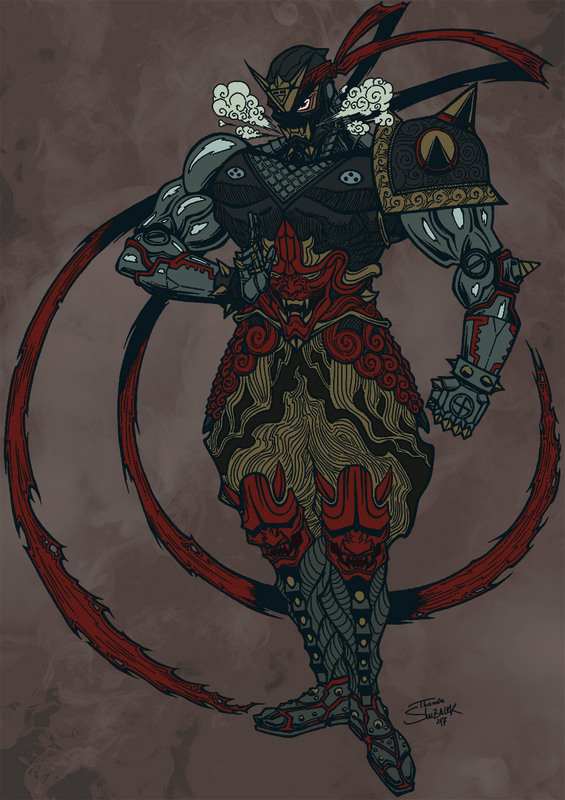 Inspired by classic japanese 8-bit and 16-bit era games like „Ninja Gaiden“, „Shinobi“, „Hagane“, „Ninja Warriors again“ and 80s/90s cyberpunk anime we wanted to create a tribute to those awesome cyborg ninjas. 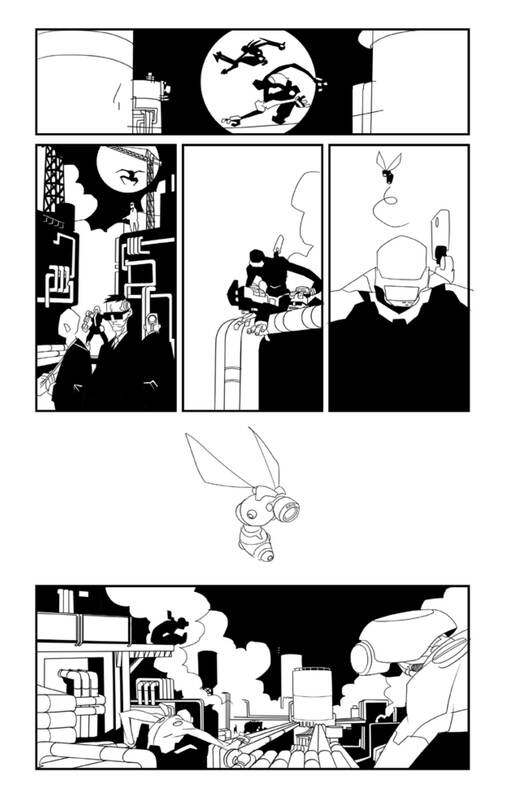 Nine artists contributed completely different comics: dark and violent action-packed dystopian cyberpunk tales, colorful retro madness, beautiful mindtrips, but also cute little toy ninjas and shinobi sausages! 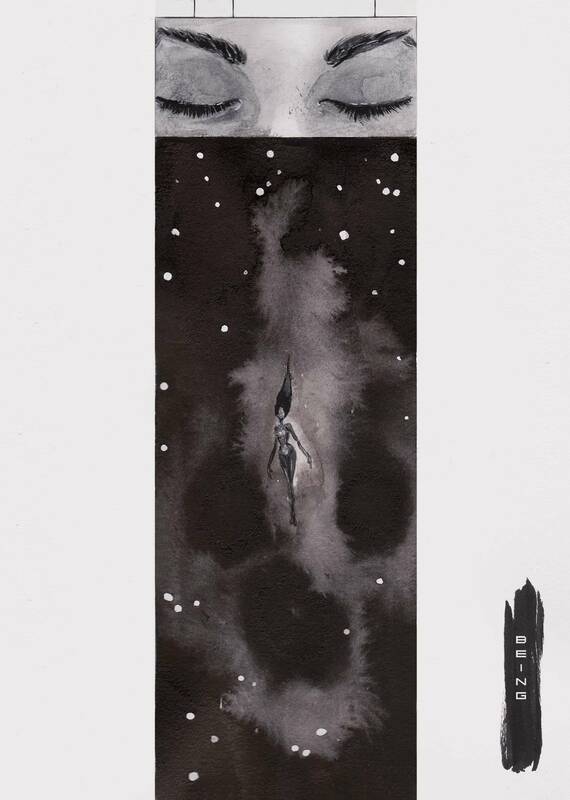 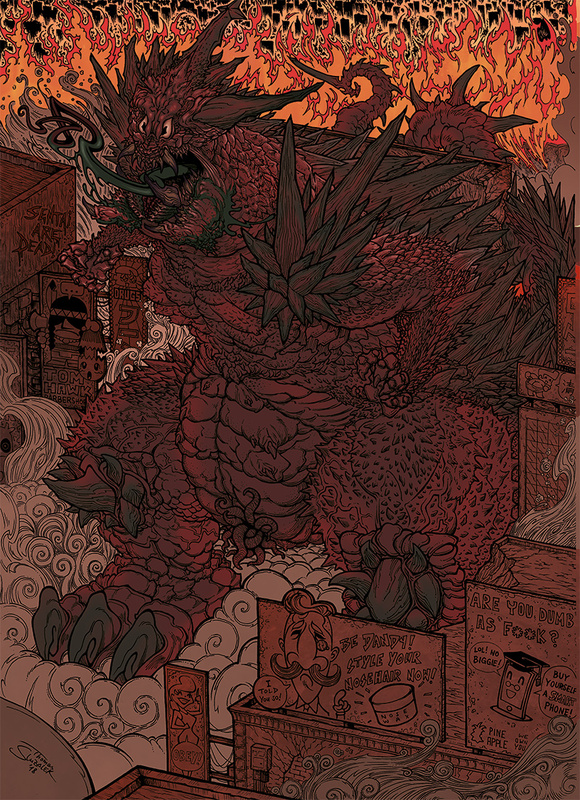 LIMITED EDITION (Only 100 copies) comes signed & numbered with a japanese-style obi/huge double-sided poster! 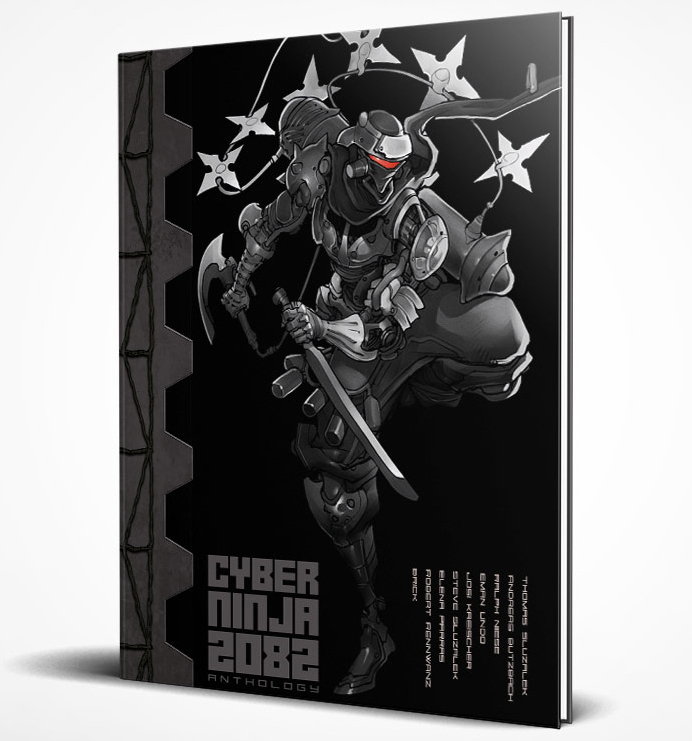 CYBER NINJA 2082 (limited edition) is available here.